Kojima Productions: Who Wants Zone of the Enders 3? Hideo Kojima doesn't only make Metal Gear Solid games. He also makes Zone of the Enders mecha games — though, it's been six years since the last one. He's been busy, you know. ZoE spawned two three sequels as well as two anime. The first title was released on the PlayStation 2 in 2001 with a Game Boy Advance version, Zone of the Enders: The First of Mars, following later that year. 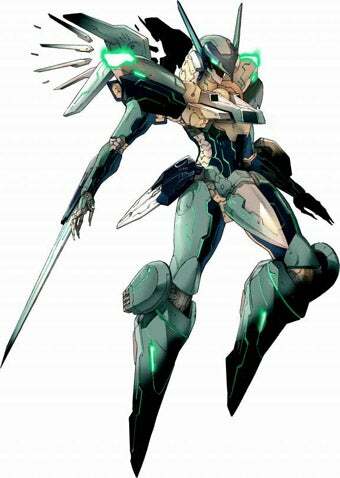 A proper sequel, Zone of the Enders: The 2nd Runner, came out in 2003. Kojima has expressed interest in a third ZoE title, but said he was too busy with Metal Gear Solid 4. That game is done! Adding fuel to the ZoE speculation is the latest Metal Gear Solid Integral podcast, in which the following question was thrown out there: "How many people really want Zone of the Enders a sequel?" Konami's Aki Saito added, "If there's so many people wanting to see Zone of the Enders, why not put the priority on top, a little further up, you know, but we just want to know." Saito even encouraged listeners to "make sure you write your comments and we'll check your comments out."